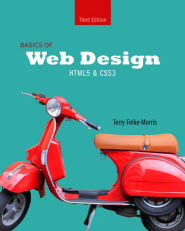 The 9th edition of this popular textbook provides an introduction to HTML5, CSS3, and responsive web design, In addition, there are sections providing a brief overview and introduction to CSS Flexbox and CSS Grid Layout. 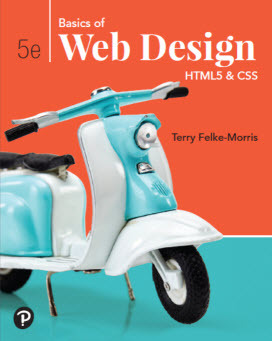 The 5th edition of the popular textbook features HTML5 and CSS topics organized into two-page treatments. The 5th Edition features a major change from previous edition. Although classic page layout methods using CSS float are still introduced, there is a new emphasis on Responsive Page Layout utilizing the new CSS Flexible Box Layout (Flexbox) and CSS Grid Layout techniques. The 5th Edition features new content, updated topics, hands-on practice exercises, and case studies. 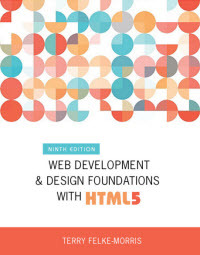 The third edition of the popular textbook features HTML5 and CSS3 topics organized into two-page treatments. Copyright © 2018 Terry Ann Morris, Ed.D.